The dog world lost one of it’s best on Friday February 19, 2010 when Cesar Millan’s Pit Bull Daddy quietly left us for Rainbow Bridge. Daddy was everything a Pit Bull is not portrayed to be and and probably everything every Pit Bull owner wants their dog to be. He helped to show the world that not every Pit Bull is far from vicious bullies out to injure or kill every dog or person in it’s path. Daddy helped begin to change the minds of many who thought a Pit Bull was never a good choice for a family pet and that all they were good for was dog fighting. 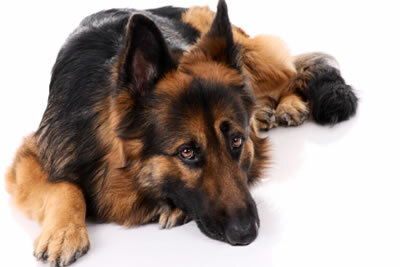 As a dog owner all my life and one who has lost several much loved Furkids along the way, I feel I can relate to the pain and heartache Cesar and his family are going through. Daddy was a member of their family and known as Cesar’s “Right Hand Man” who helped Cesar help thousands if not millions of dogs across the United States and perhaps in other corners of the world. This is a very sad time for the Millan family and our hearts go out to them in their sadness. To the Millan Family: We know how you are hurting right now. It seems that no matter how much you know in your head that “this day” will come and even when you know the time is near, when it finally happens it really doesn’t help to know this in your head. It’s your heart that breaks. Daddy may have been 16 years old by the calendar, and for any dog 16 years is a long life … even though you know that Daddy lived a wonderful life … it doesn’t help when the end finally comes. The sadness in your hearts is still heavy and for a true dog lover, you start missing them even before they’re gone. To Junior: You have some very big paws to grow into and we have no doubt that you will do the very best job that any dog could do! You will never be Daddy because no dog can ever take his place and that’s not a bad thing. It’s ok that you are YOU, an individual in your own right you will do good things in your own way. So, don’t even try to take his place, do it YOUR way and you will be still be a hero! To Daddy: You were a very special guy and helped the dog world to see some very bad things in a new and better light. You were truly an ambassador for the Pit Bull breed and for dogs in general. When you look down on your beloved family and watch over them from afar (as we know you will), you can smile and be happy and at peace knowing that you were loved so much for anything and everything you were, still are and always will be. You will be missed more than you will ever know, not only by the Millan Family but by many of us in the dog world, too. Enjoy your new life at Rainbow Bridge, be safe and happy and know that you will never be forgotten. If ever a dog fulfilled the “a dog needs a job” belief, it’s you, Big Guy. If anyone would like to post their thoughts and condolences to the Millan Family, please visit their new web site, Cesar’s Way. You’re also invited to share your thoughts here on our blog. 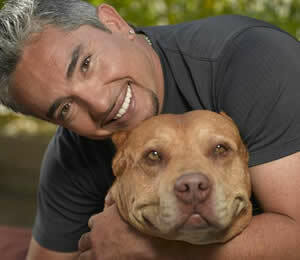 i have watched dog whisperer, and have used all the techniques cesar has shown us on tv. i pray God has blessed me with the skills and knowledge from cesar. God bless you and your family. i watch you every day.